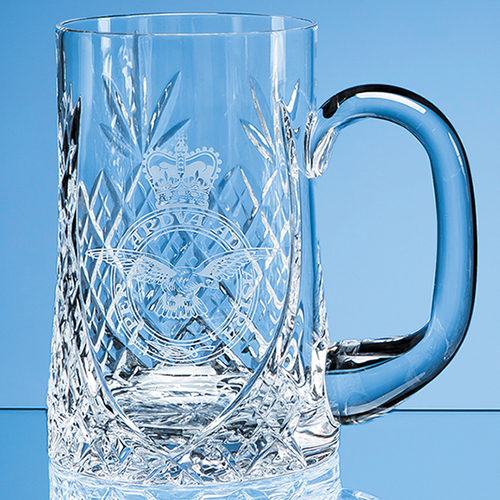 Classically proportioned this traditional 0.595ltr lead crystal sloped panel tankard is perfect to say thank-you, well done or to commemorate a personal, sporting or corporate event or occasion. Embellished with an elegant diamond and wedge cut pattern, it incorporates a space to engrave a personalised message, crest or logo and it is sure to take pride of place at home or in an awards cabinet. Available as an option is a beautiful presentation box with blue satin lining.